Buying a condominium can be a great way to get into the real estate market, either as a residential home owner or as a real estate investor. For those who wish to buy a condo to live in, benefits include the opportunity to own your own space without being responsible for a lot of upkeep and maintenance. Condos also make it possible to purchase property in denser areas where it would be cost prohibitive or impossible to purchase a single family home. For investors, condos provide an opportunity to purchase spaces that can easily be rented and that should hopefully rise in value over the time of ownership. While a condo purchase can be an excellent investment, there are factors that exist in condo sales that can derail the transaction which are not a problem in other types of real estate purchases. Particularly, the information provided on a condo questionnaire could end up causing many conventional mortgage lenders to be unwilling to provide mortgage funding because the information reveals problems such as homeowners association litigation. While HOA litigation revealed on a condo questionnaire could make it difficult to obtain a mortgage loan from a conventional lender, the fact that litigation is ongoing does not necessarily mean that a condo purchase is in advisable or that buying the condo is not an excellent investment. However, it does mean that buyers seeking to purchase the condo will need to look harder for an appropriate source of funding. NonQMHomeLoans.com can be that funding source. Our trusted mortgage professionals can help you to qualify for a loan for a non warrantable condo even in circumstances where HOA litigation is ongoing or where the condo questionnaire revealed other serious issues that have caused conventional lenders to reject your mortgage application. To find out how our mortgage team can help you to get the loan you need so your real estate transaction can get to close, give us a call today. Most condos have homeowners associations or condo associations that establish and enforce building regulations, collect dues, and make improvements to common spaces. Condo associations control common spaces and tenants are subject to rules and restrictions set forth in the condo bylaws. When a buyer seeks to purchase a condo, the buyer’s mortgage lender typically requires the completion of a condo certification, also known as a condo cert or condo questionnaire. The purpose of this condo certification or condo questionnaire is to determine if the homeowners’ or condominium association is a healthy one that is financially sound. The lenders want to see the condo certification completed as part of underwriting because problems with the association could spell trouble for the value of the condo. If the association has a significant shortfall of cash, it is possible that common spaces and amenities in the condo unit might not be properly maintained, which could cause the value of units in the condo to fall. Dues could be significantly increased if the association is not financially healthy, which could also make the condo worth much less and render it much more difficult to sell the future because people wouldn’t want to move into a building with astronomical association dues. Lenders also want to make certain that there is no ongoing HOA litigation because this type of litigation is problematic on multiple levels. One of the issues is that when there is litigation, it often means there are serious problems with the condominium building – such as the association failing to fulfill its responsibilities or abusing its authority. These types of serious problems could affect the condo operations and thus the value of each of the units within the condo building. Another issue is that litigation can be very expensive, and if the outcome is not favorable, a substantial amount of damages may be owed. This could result in a condo association or a homeowner’s association being forced to pay out large sums of money. The association might have to pay a fortune for legal fees even if the outcome of the litigation is favorable – and would have to pay even more in circumstances where the outcome was not a positive one. The costs associated with the litigation could cause the homeowners or condo association to face the types of financial problems that end up resulting in the association becoming cash strapped, thus raising dues or neglecting the property – and causing property values to fall because of it. In some cases, sellers who have listed their condo for sale are unaware of the fact that HOA litigation is ongoing or are not aware of other problems that show up in condo certifications – which means that these issues can come as a major surprise to all parties involved and can occur late in a transaction when a buyer has already made a firm decision that he wants to purchase a condo. 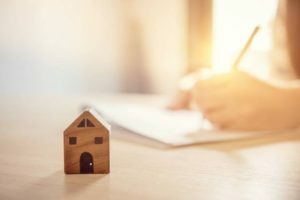 Unfortunately, most conventional mortgage lenders will be simply unwilling to make a loan for a buyer to purchase a condo when HOA litigation is going on. The entire transaction could fall apart, leaving the real estate investor or home shopper without the ability to purchase the property that he intended. And, buyers can find themselves facing a categorical denial of a mortgage loan even in circumstances where they are extremely well qualified because they have excellent credit, a good down payment, and meet all other criteria that conventional mortgage lenders look for in granting loans. This can be a source of great frustration to would-be buyers who determine they want to move forward with the transaction despite the HOA litigation but who find themselves unable to find a lender willing to look at the big picture and provide the necessary financing. While many lenders are unwilling to offer mortgage financing for a condo when there is HOA litigation ongoing or when the condo questionnaire revealed other issues with the homeowners’ association or condo association, not all lenders are unwilling to look at the big picture. In fact, A&D Mortgage is committed to helping all real estate buyers, including investors and home purchasers, to secure the right type of loan for their situation. Our mortgage professionals so beyond basic cookie cutter transactions that conventional lenders restrict themselves to and work to help buyers purchase the properties that they want even when a conventional lender would do nothing but set up roadblocks that prevent a deal from getting to close. When you borrow for a condo through A&D Mortgage, you will work with a professional from day one in the process who can help you to explore your options for loan financing and find a mortgage that works for you – whatever the transaction you are trying to complete. The skilled mortgage professionals at A&D Mortgage not only offer top-notch customer service, but we get to know the goals of our buyers so we can help you to find a mortgage loan that makes your investment a good one. 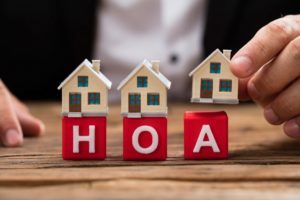 At NonQMHomeLoans.com, HOA litigation doesn’t stop you from getting loan approval, nor do many other issues that would cause an immediate denial from a conventional lender. We know that not every property or transaction appears perfect on paper, and we also know that not every buyer appears perfect on the surface. That’s why we don’t automatically disqualify you from getting a loan if the condo questionnaire has issues, if you have adverse events on your credit, or if you are unable to produce the myriad financial documents that most conventional lenders require as a matter of course. Our qualifying process is different, our standards for approval take your entire situation into account, and our goal is to make your transaction possible when others may have said no. We also aim to get your loan approved quickly so there are no delays that could prevent you from being able to close on the deal, and we try to take the stress out of the application and approval process by reducing the amount of documents that you have to produce. You will have a different experience because of the top-notch customer service that A&D Mortgage provides, as well as because of our novel approach to evaluating mortgage loans and granting approvals. And, best of all, you can get a mortgage loan at a competitive rate with loan terms that actually make your condo purchase an excellent investment for you. Don’t give up on buying a condo you love just because a conventional lender does not want to give you a loan due to the fact that HOA litigation was revealed on a condo certification. And, don’t waste your time trying to get approval from conventional lenders for a transaction that doesn’t fit within their narrow guidelines of what is acceptable. Instead, reach out to A&D Mortgage today so we can move you quickly through the loan approval process and get you the financing you need to make that condo your own. Call today to learn more.